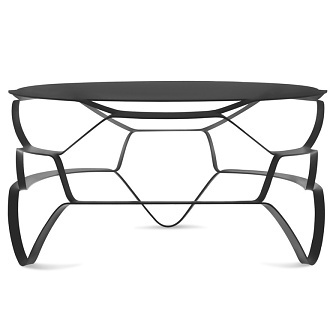 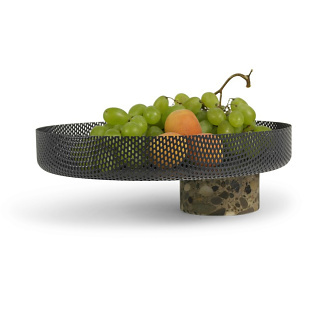 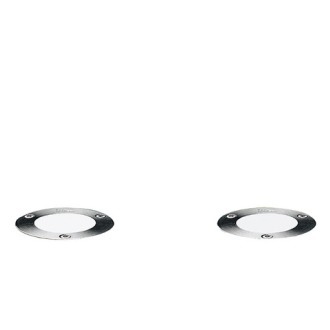 No high tech – just a ring and a hole. 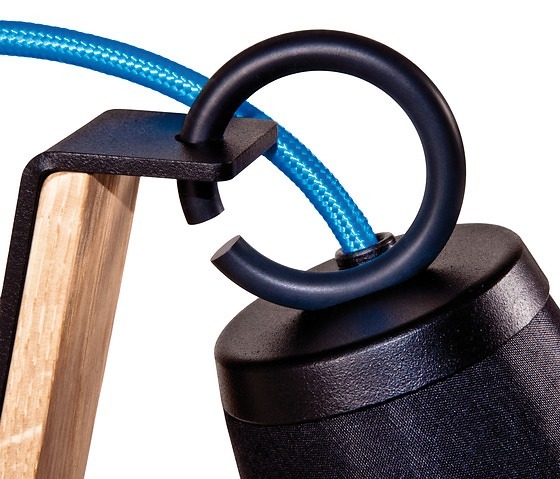 Two parts to build a very functional hinge which can easily and smoothly be swivelled in two axis. 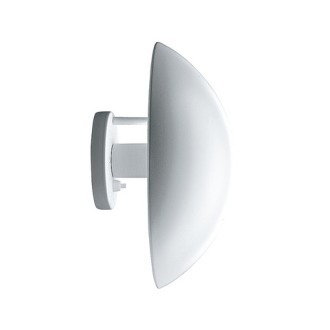 Minimalist in its design PIT concen- trates on its function. 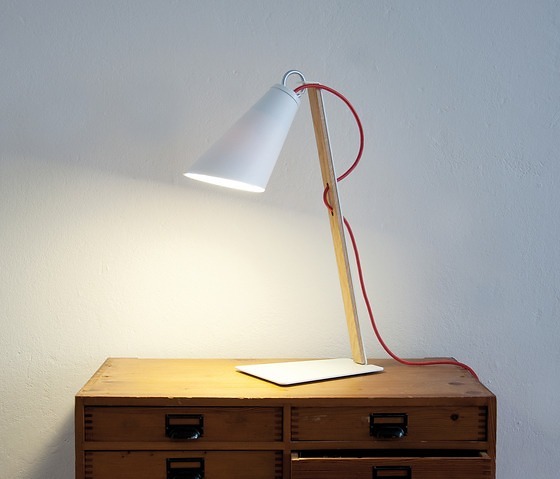 As a result it brings a pleasant light for reading and working. 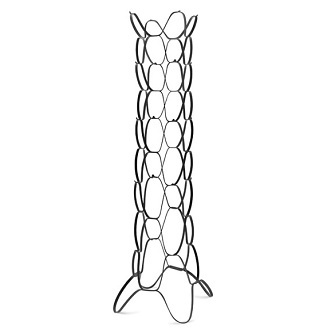 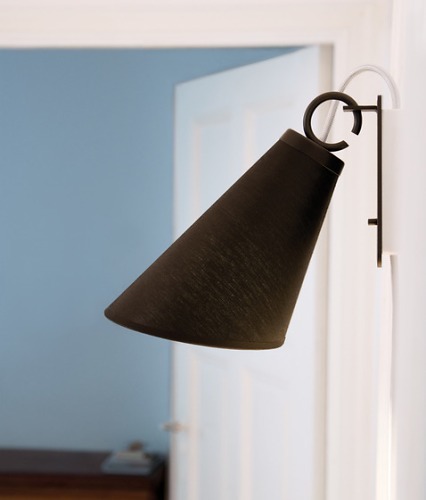 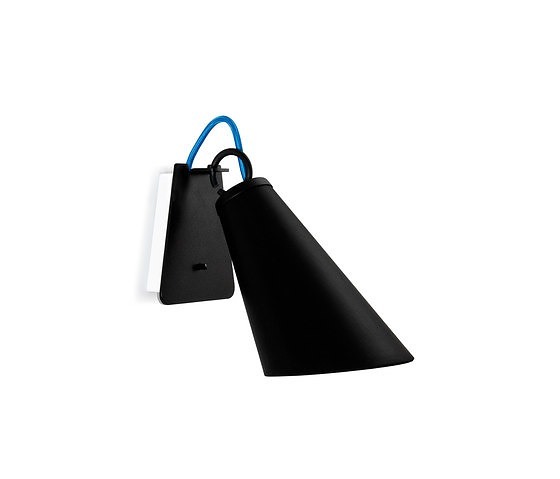 Versatile wall light made of the same material and featuring the same functionality as the PIT table and floor lamps. 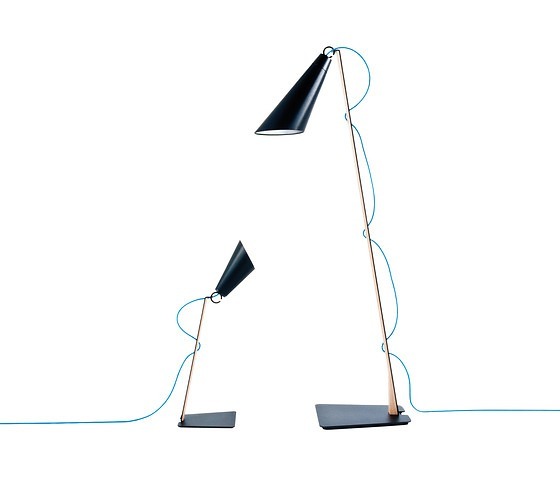 Available in two options: plug-in (Version 1) or hardwired (Version 2). 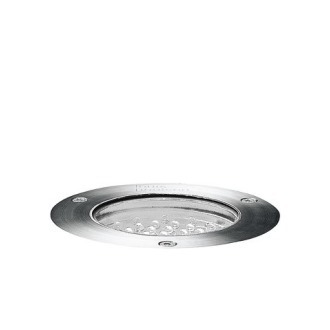 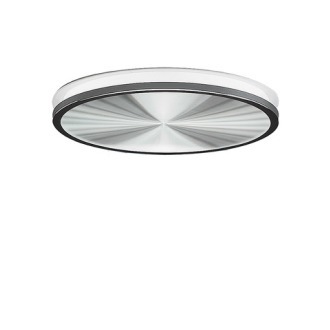 The lamp switch is located on the base plate, which assures that it’s always easily accessible. 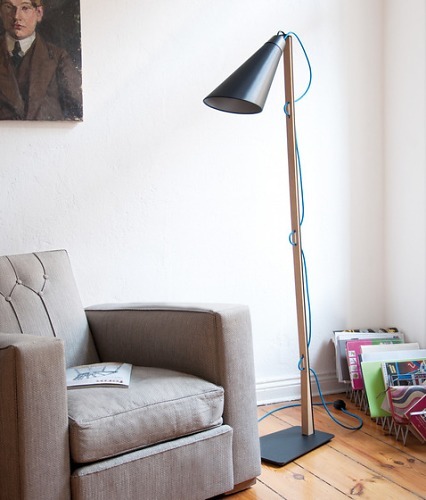 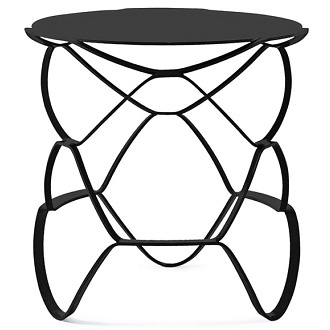 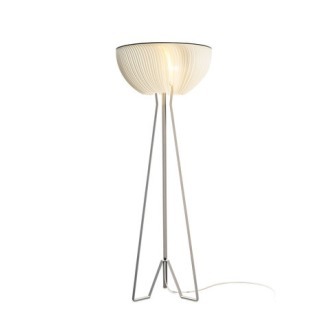 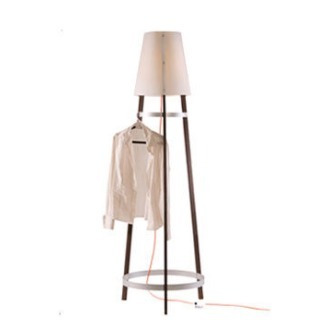 Reduced down to the basics, the new floor lamp PIT can illuminate any room. 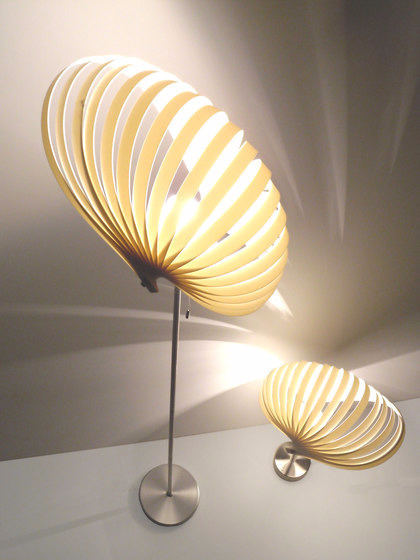 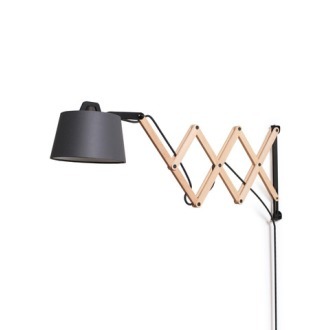 The lamp head can swing 180° up and down. 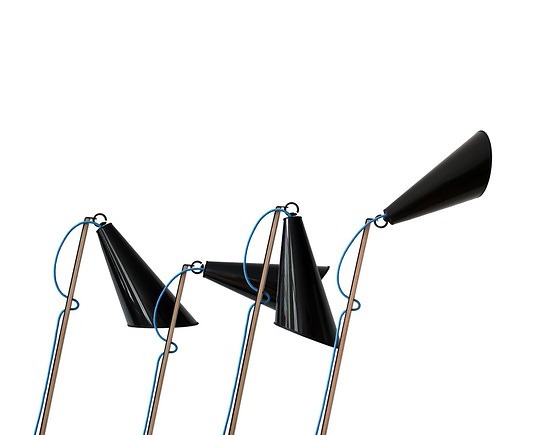 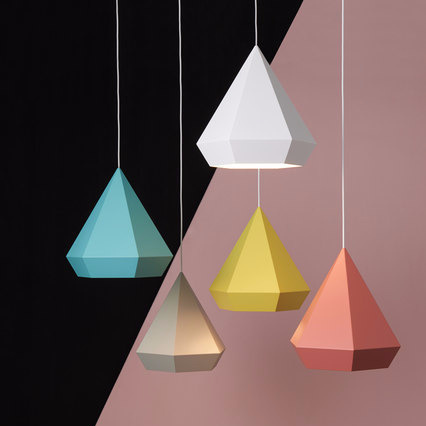 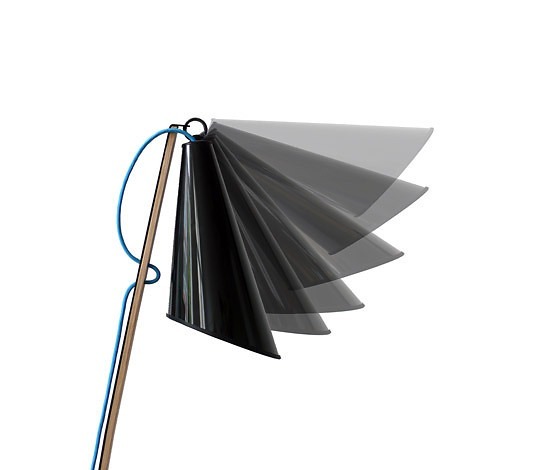 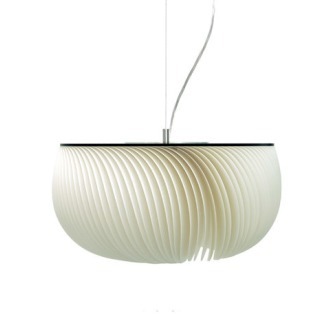 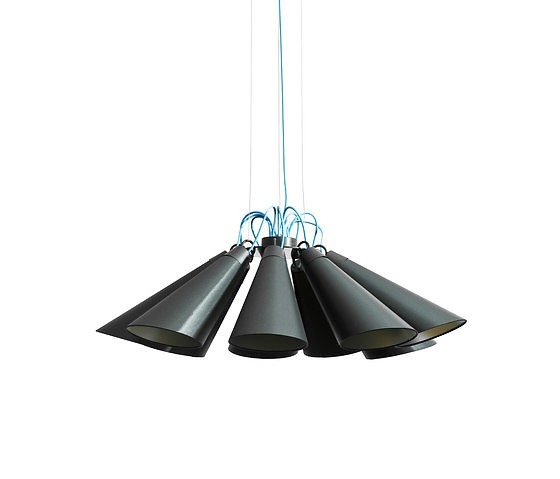 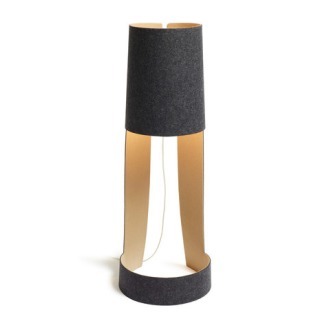 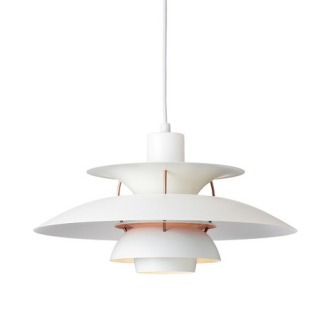 The fabric lampshades come in black or white, the wooden elements are made of black- or white-glazed oak and the metal parts are black or white powder coated. 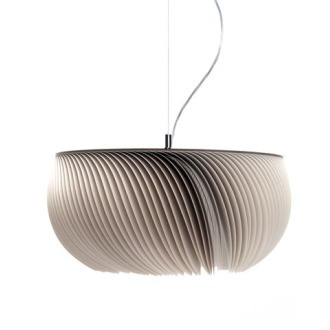 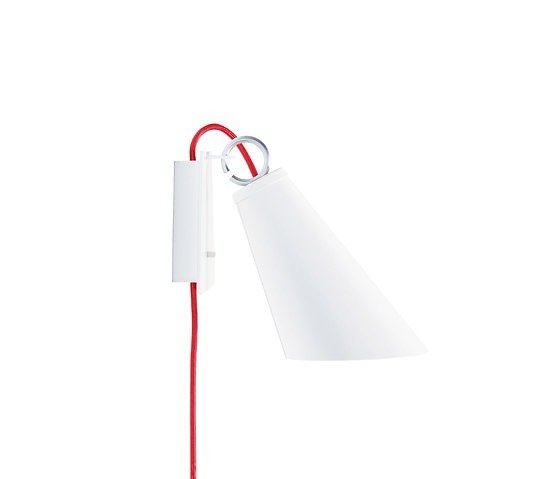 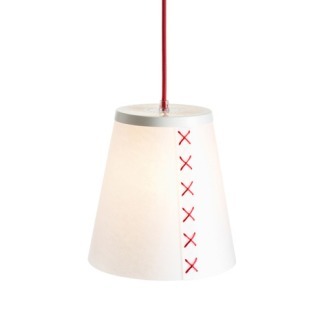 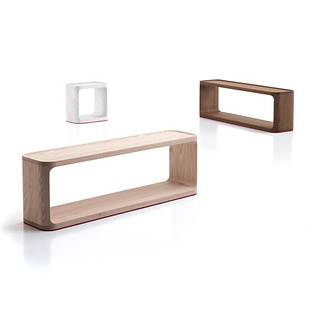 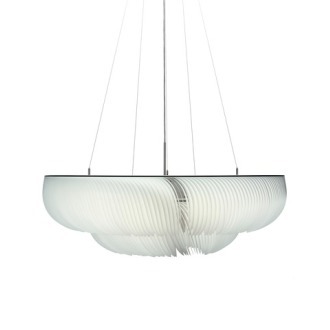 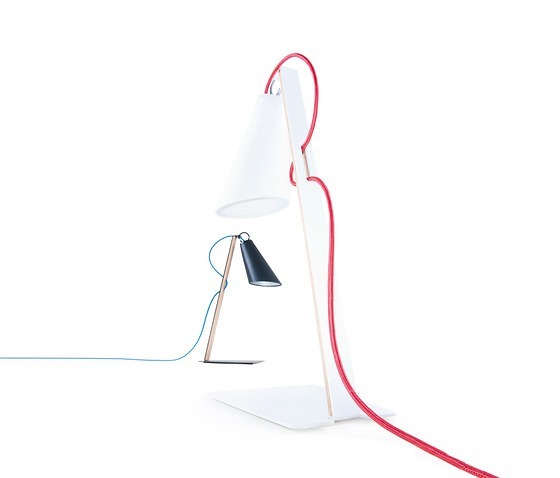 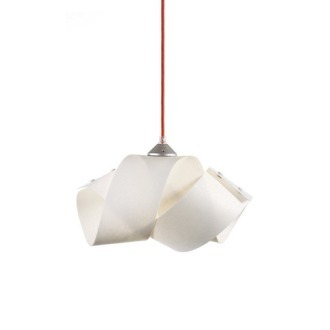 The cables come in red, blue, silver-grey and hemp, allowing you to assemble the lamp individually. 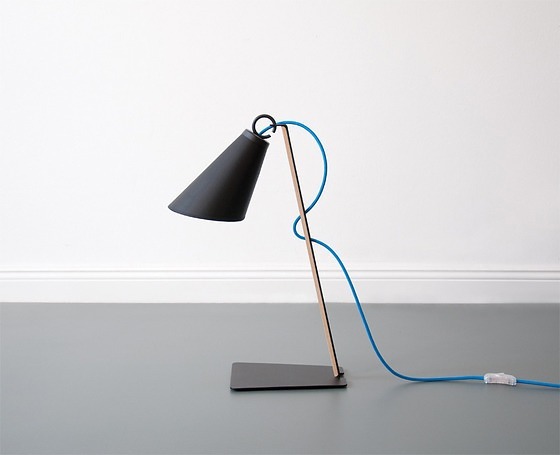 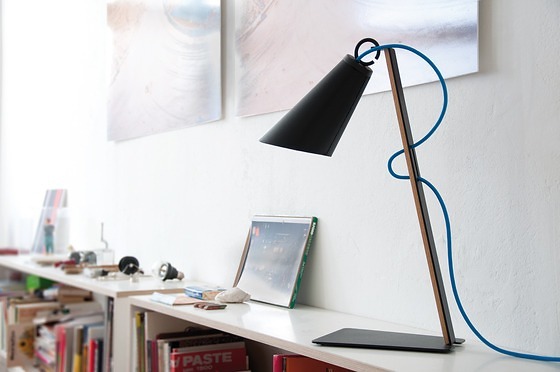 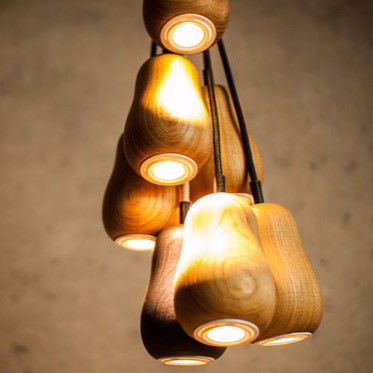 PIT works with its simple hinge as a table lamp as well. 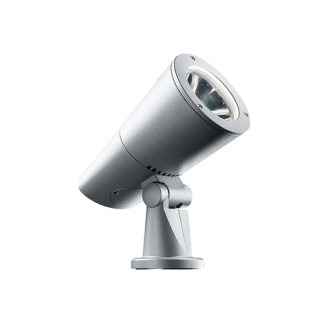 Everywhere light is needed, PIT can easily swivelled in this direction. 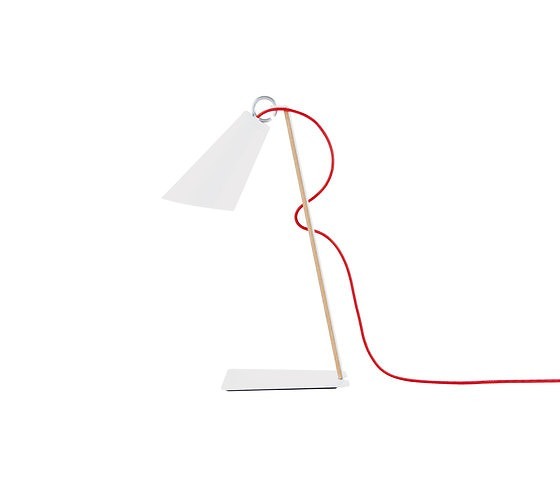 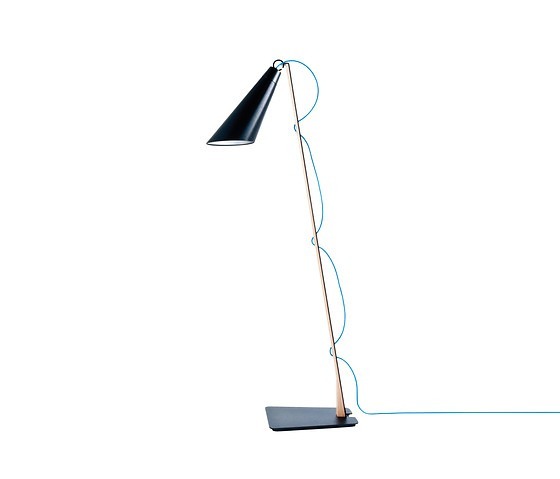 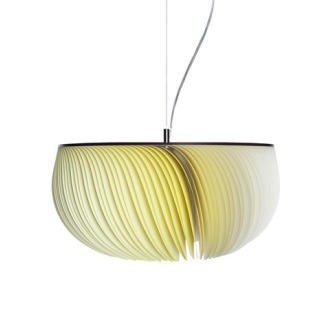 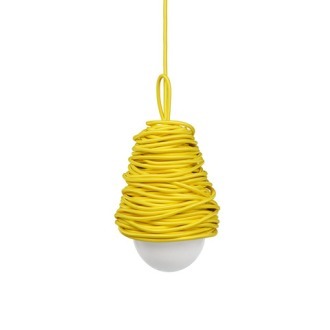 The available colorful cable emphasise the clever and minimalistic design of the whole PIT lamp family.